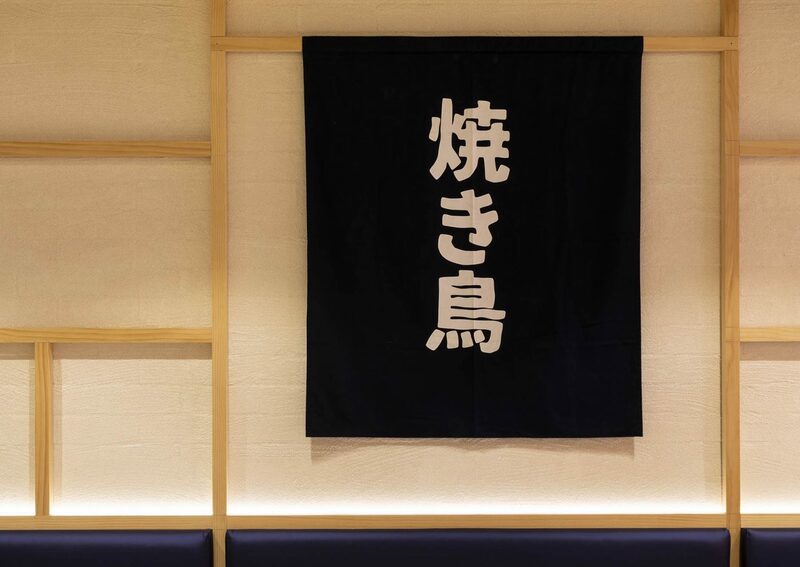 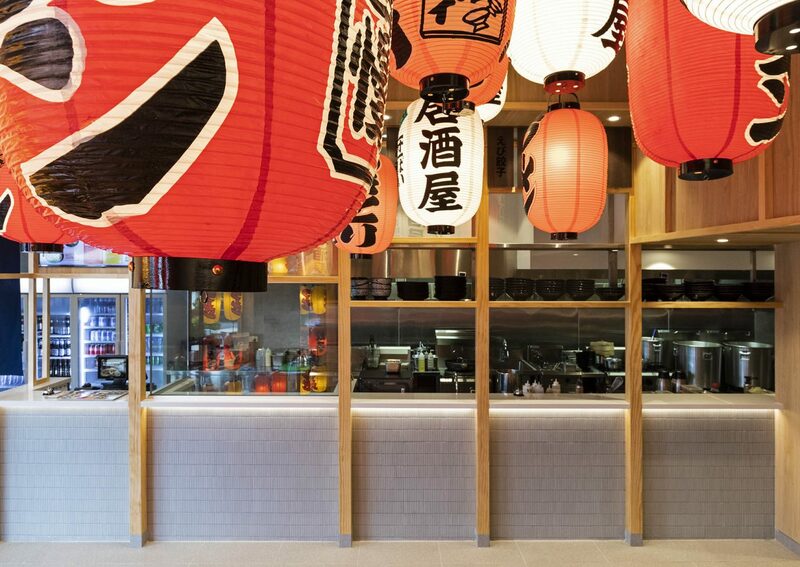 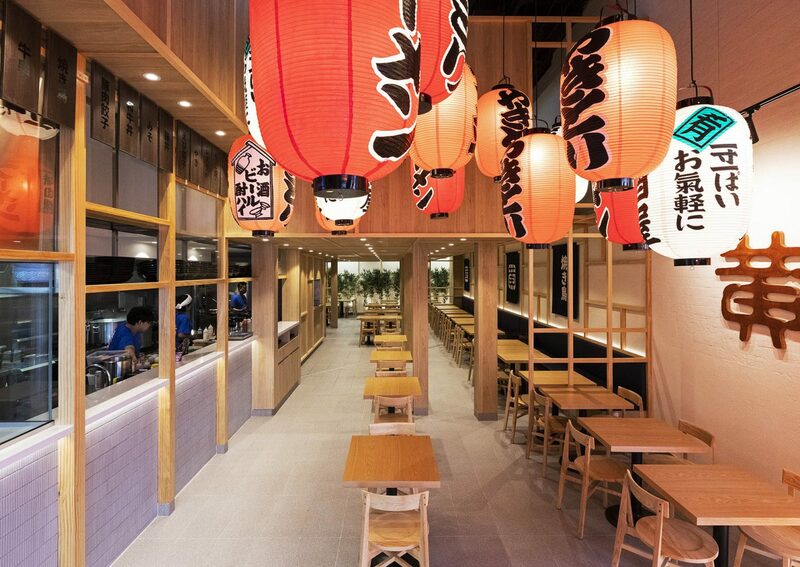 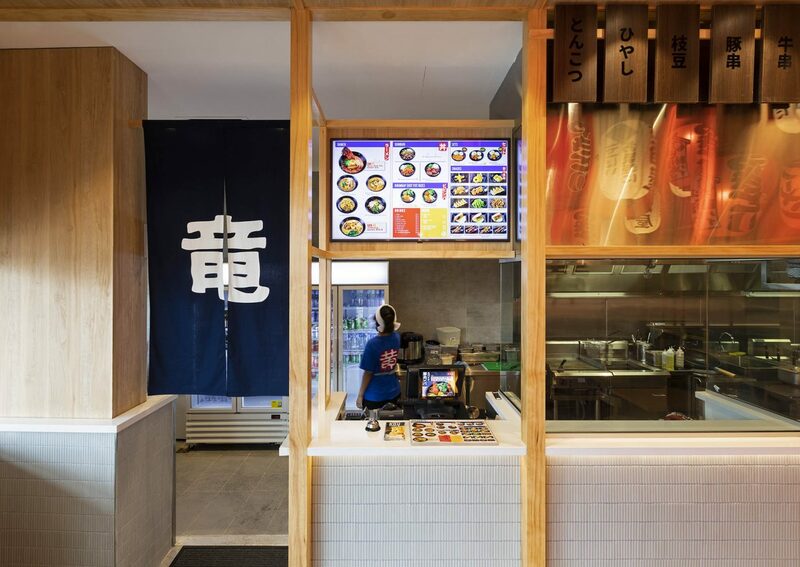 Located in Westpoint Centre in Blacktown, Kou Ramen is a new establishment serving as a homely hub offering traditional Japanese ramen and beer. 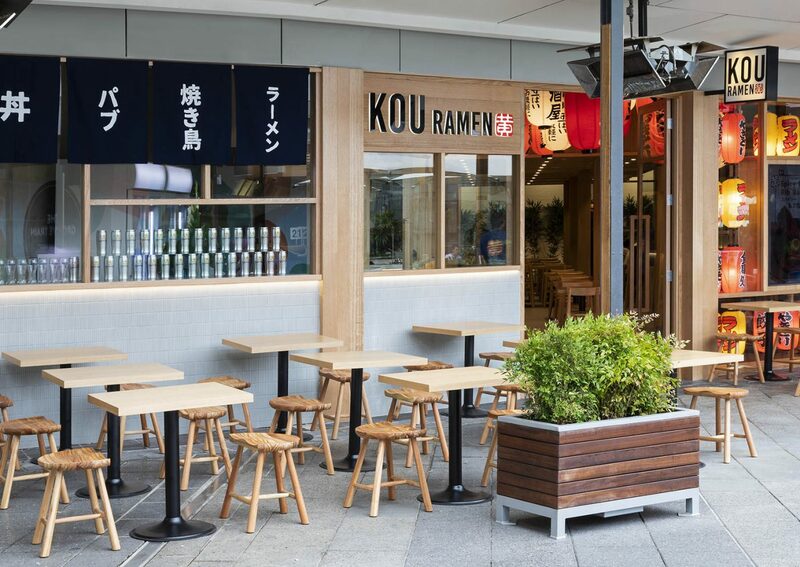 The meaning behind the family name “Kou” holds a strong sense of home-style Japanese cooking culture which consequently inspired the overall branding identity as well as the bright and warm interior. 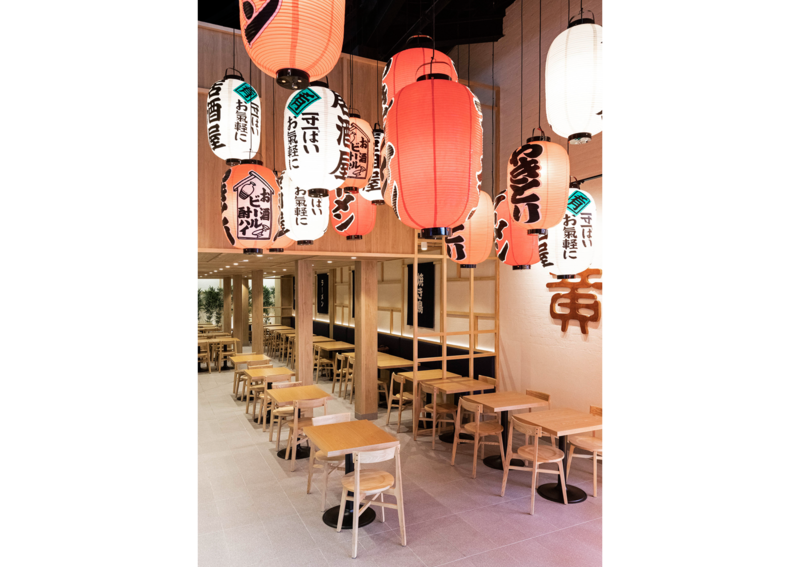 The logo design for Kou Ramen is inspired by the traditional seal found in the historic Japanese era. 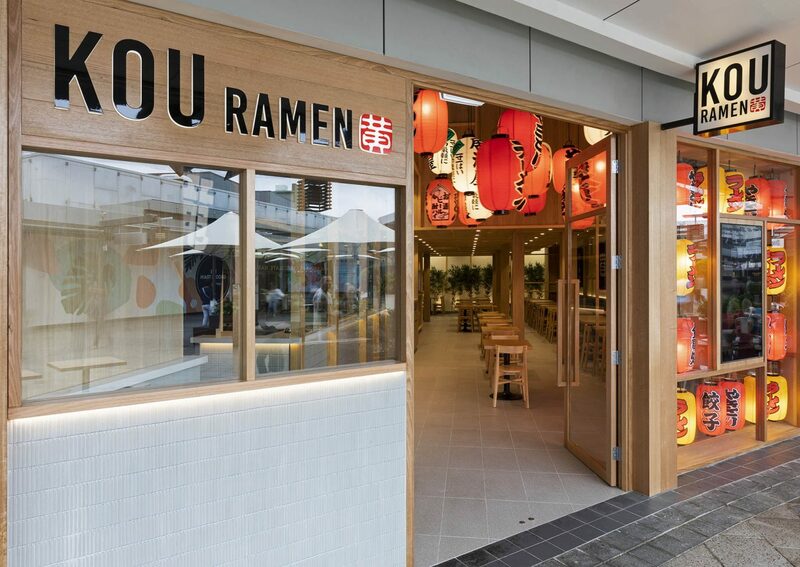 Using a bright red alludes to Kou Ramen’s specific culture offerings and the signature dish – Spicy Pork Rib Ramen. 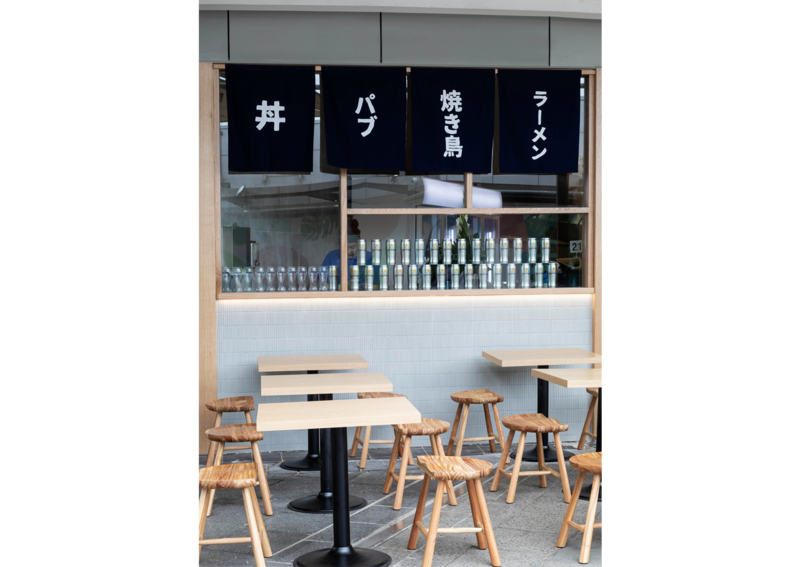 A simplistic approach of colours, shapes and branding elements on the graphics is implemented so that the brand is true to its’ simple intention of bringing quality and homely dishes. 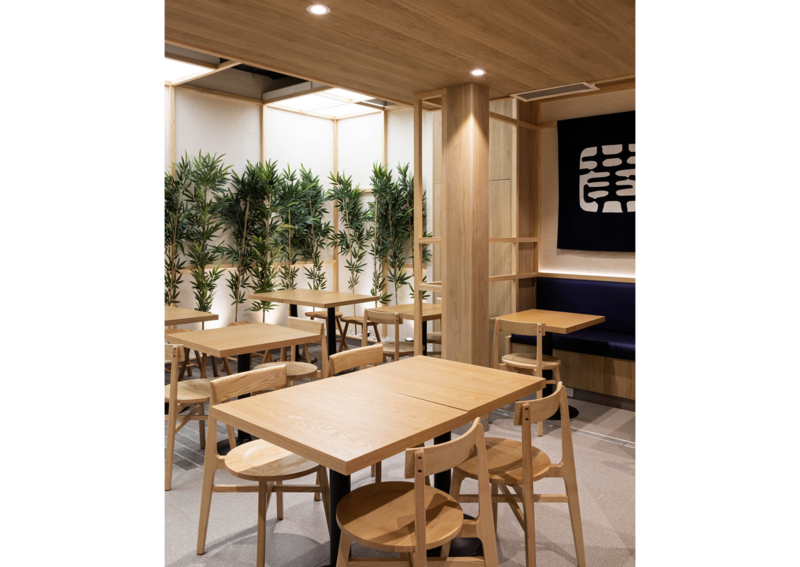 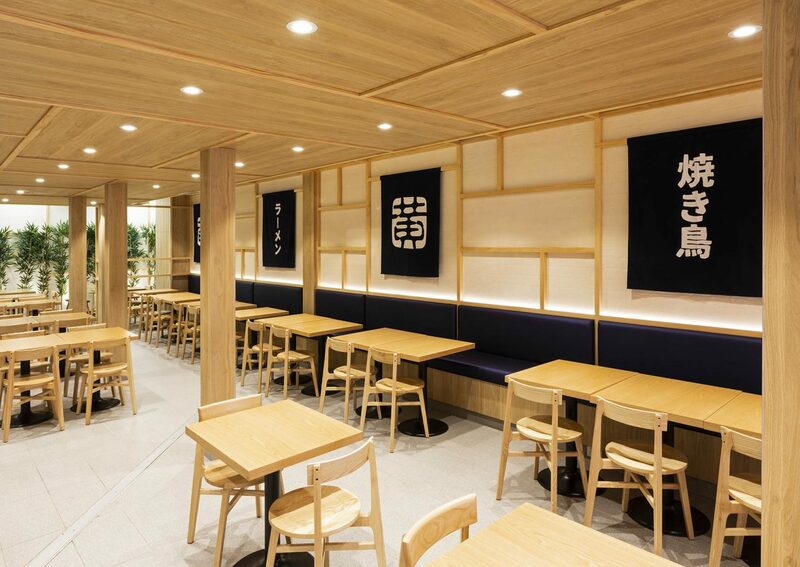 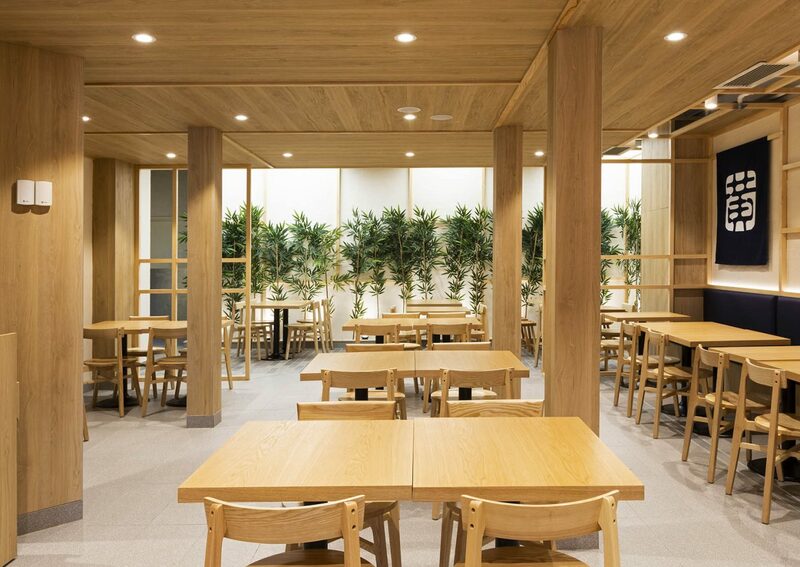 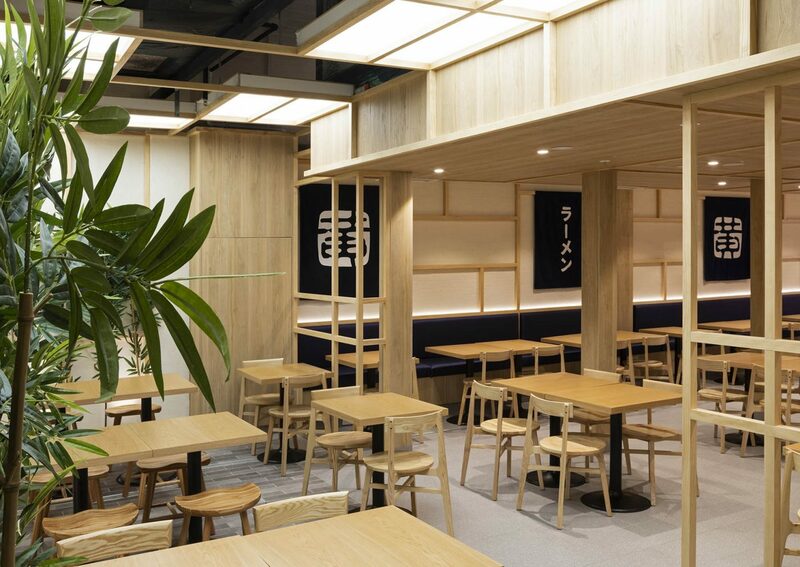 Keeping in touch with the minimalistic nature of Japanese design, features such as light coloured timber, simple rectangular patterns and clean lines were used to emulate characteristics of a traditional household in a modern way. 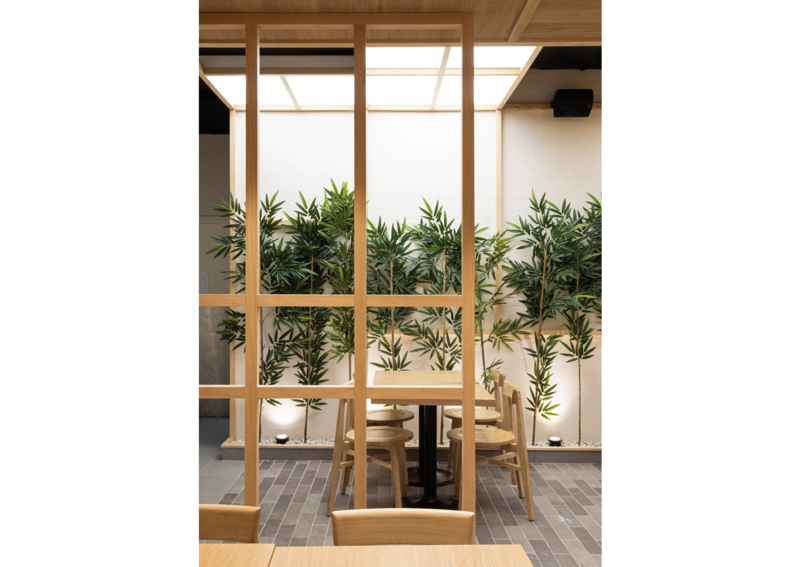 The highlight of the restaurant is undoubtedly the internal courtyard which adds a touch of life to the space whilst playfully alluding to the tatami straw mats ever present in Japanese homes. 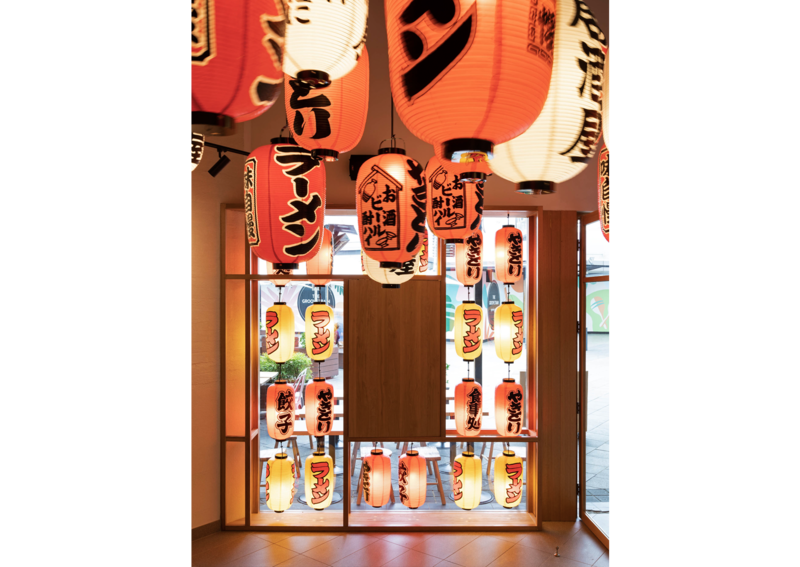 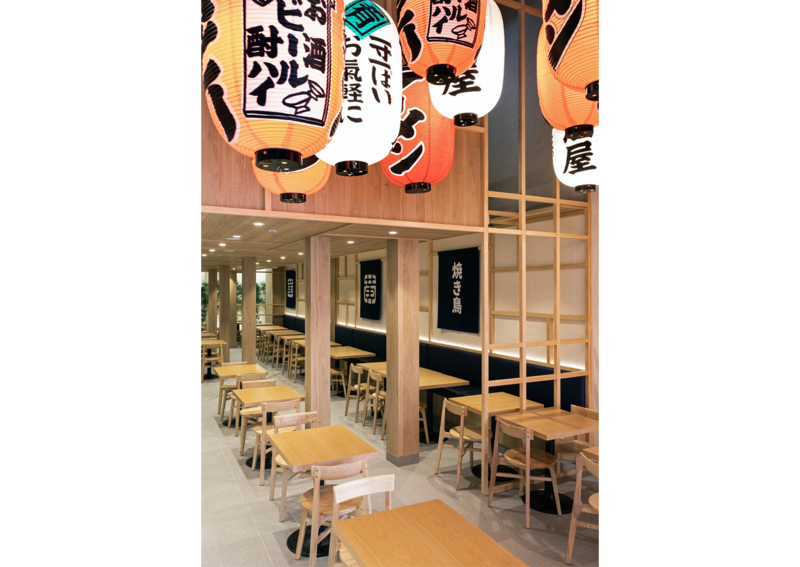 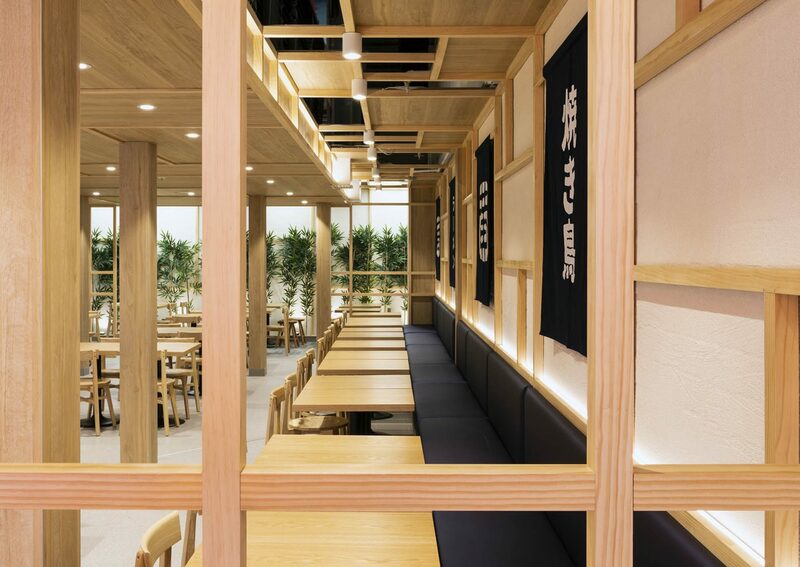 The homey and casual design of Kou Ramen reflects the restaurants intention of providing a place for patrons to enjoy and experience the warm welcoming atmosphere just like the times you are invited over to your friend’s house for dinner.